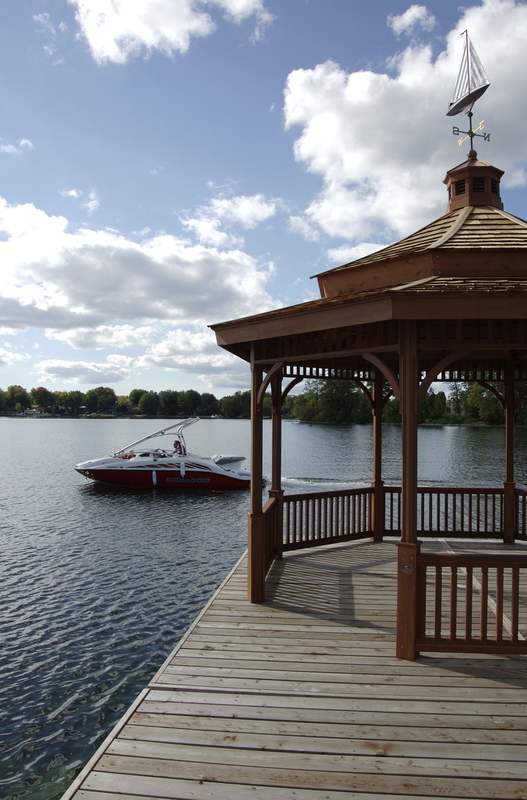 Sophie’s Landing Lakeside Club is another Signature Carleton award-winning lifestyle community. It is one of the few gated waterfront communities in Ontario. It has an excellent location in the City of Orillia (population 30,000) just 20 minutes N of Barrie (population 500,000) and 1hr-10min from Toronto. The collection of 84 Muskoka & French Country custom bungalows with soaring lofts, full basements & attached garages are designed as a pedestrian scale French Country village, with no 2 homes alike. Sophie’s Landing was rated as Ontario’s #1 Lifestyle Community. We are currently sold out but please Contact Us for information on upcoming projects!